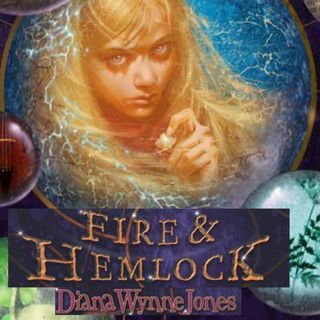 Here goes an episode of Fire & Hemlock where I spend a little too much time talking about myself and almost run out of time to finish talking about the chapters. But damn did this section hit close to home. However, that comes later. The first thing I talk about, of course, is how nuts it is that the very hardware store Polly and Mr. Lynn were pretending about actually exists, and how bizarre it is that the people who work there are apparently so similar to the ones the two of them had ... See More been imagining that they can recognize them on sight. I really can't imagine what the hell is going on here, but I'm dying to find out. I mean, what is the point of all this? I'm totally baffled. And what does it all have to do with the photograph? Thanks again to Patricia Bing-Grant for commissioning this episode, and I will be seeing you all again soon with a new episode!